The Linksys Cloud Manager feature of your Linksys Business Dual-Band Cloud Access Points allows you to remotely manage multiple access points, networks, and businesses anytime and anywhere. This article will help you delete an access point in your network through the Linksys Cloud Manager. You are no longer using the access point and are permanently removing it from your networks. If at any time you disabled or re-enabled the Linksys Cloud Manager through the local interface, the access point will show Offline. 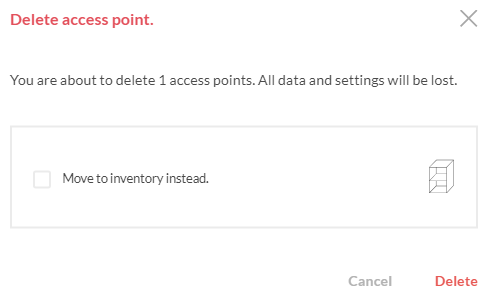 You will need to delete the access point from the Cloud and add the access point again. Log in to the Linksys Cloud Manager. For instructions, click here. From the list of Networks, click on your network name. IMPORTANT: Before making changes, make sure you have selected the correct network by checking the top-left section. 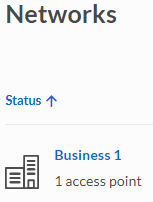 QUICK TIP: You can also click the ellipsis icon of your network and select Access Points. Click the Access Points tab. Select your access point and click the Delete button. 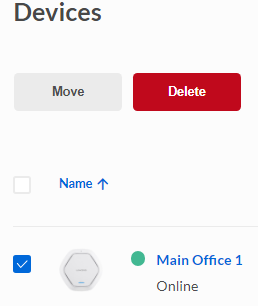 QUICK TIP: You can also click the ellipsis icon of your access point and select Delete. You have now successfully deleted your access point. If you want to add the access point back, click here for instructions.